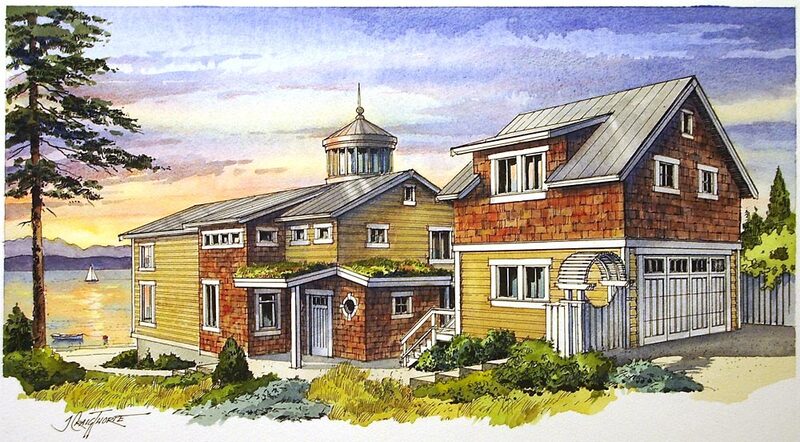 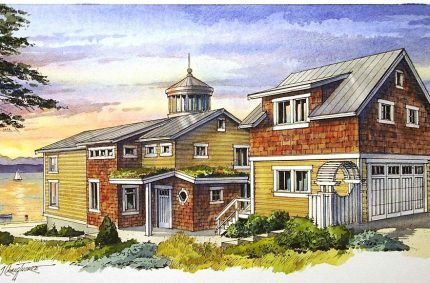 Warm Beach residence – 12″x16″ ink and watercolor commissioned by GMS Architectural Group, Bellevue, WA; show a “green” eco-friendly residence. 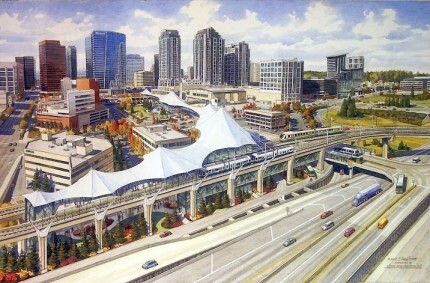 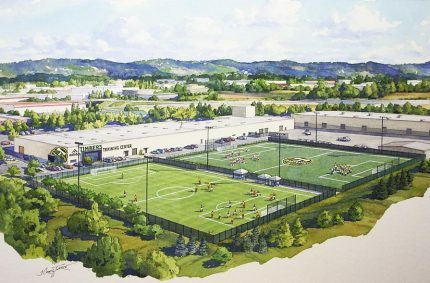 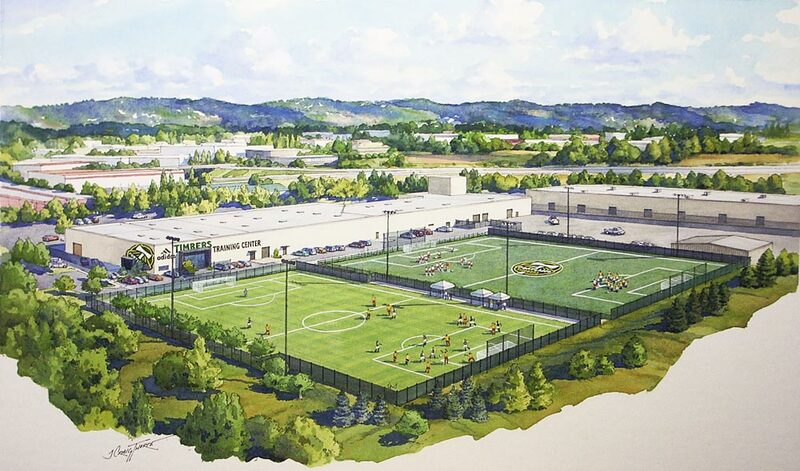 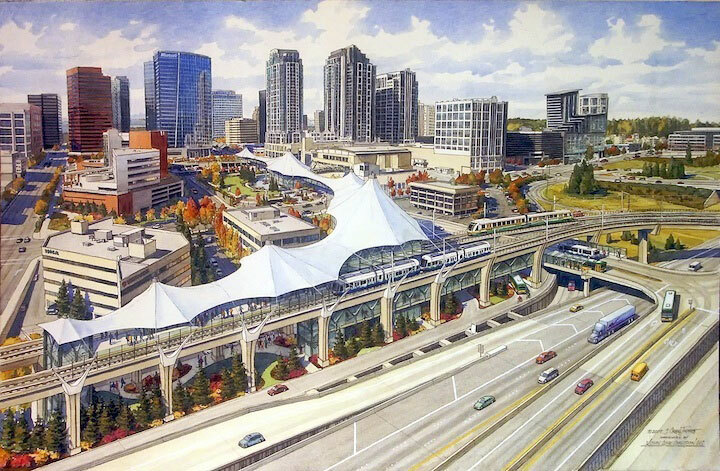 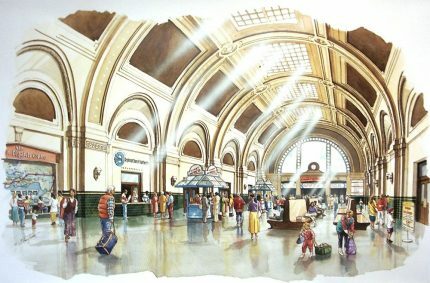 Vision Line Vision Line – Ink and watercolor 26″x40″ commissioned by Wallace Properties, Bellevue, WA; Concept rendering of a possible intermodal transit facility in Bellevue, WA. 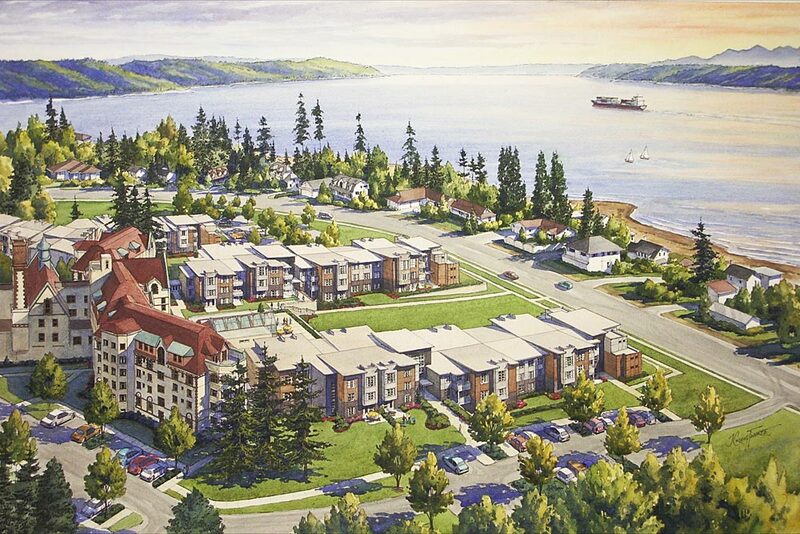 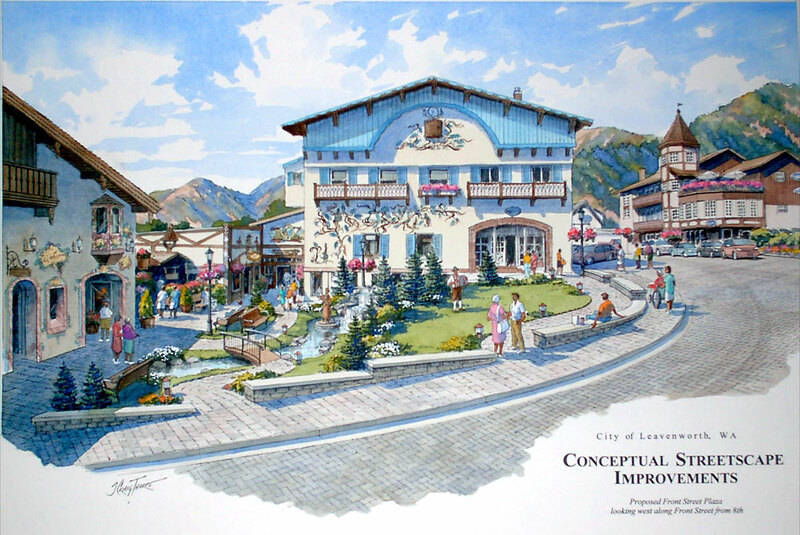 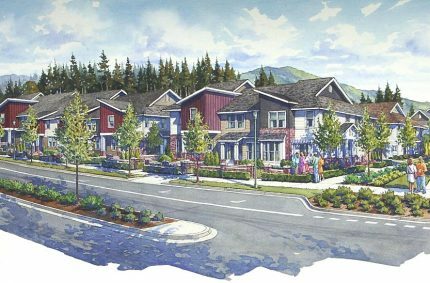 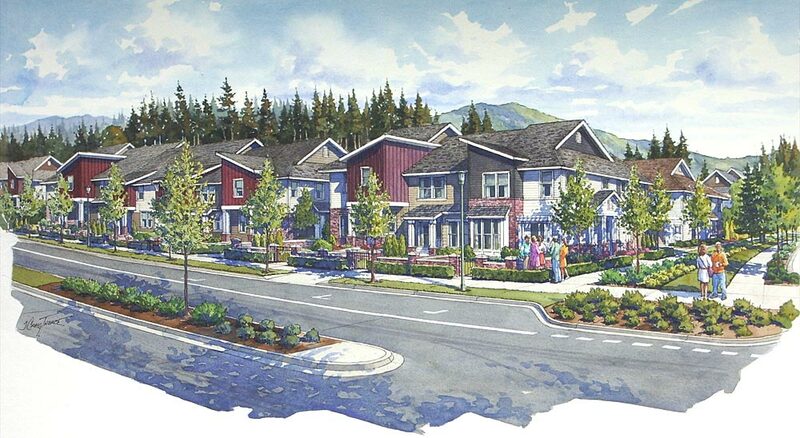 Royal Lady Plaza – Pencil and watercolor 18″x24″ commissioned by City of Leavenworth, WA; one of a series of 10 images showing proposed town master plan modifications. 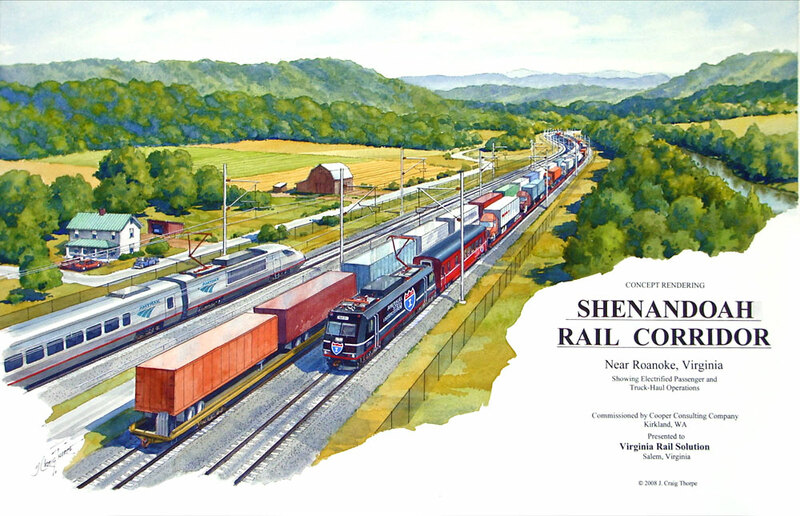 Shenandoah Corridor – Ink and watercolor 24″x36″ commissioned by Virgina Rail Solution. Concept rendering of a proposed high speed rail “Steel Interstate” corridor in western Virginia.